It seems Amazon is on a roll this week, having just announced its set-top box Fire TV, and now Amazon Dash. 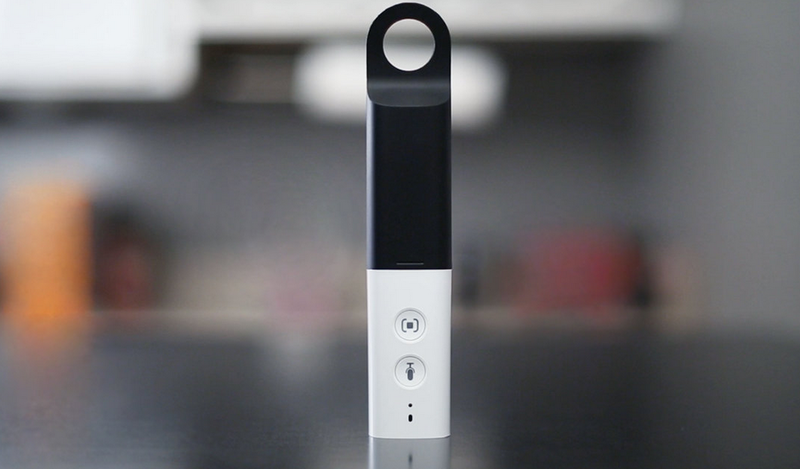 With Dash, you simply scan items using the device or speak into its microphone, then Dash will add items to your Amazon Fresh shopping list. From there, Amazon ships the items to you, with most cases being 1-day delivery. As of right now, only certain regions in just two states are supported, but the future of grocery shopping looks exciting. The flashlight-sized tool allows you to quickly take note of what exactly you need to stock up on in your household, and lets you move to a computer or mobile device to check the items out using Amazon Fresh’s payment system. The device is also touted for its sturdiness, and ability to withstand the wrath of children along with dirty hands, so you can order new groceries while cooking without an issue. As previously mentioned, you will only find Amazon Fresh (and Dash) to be available in Seattle and parts of California. The rest of the US isn’t looking like it will see the service anytime too soon. Currently, only select Amazon Fresh members are receiving invites to get a free Dash device from Amazon, and there’s no word on when us regular folks will be able to net one.